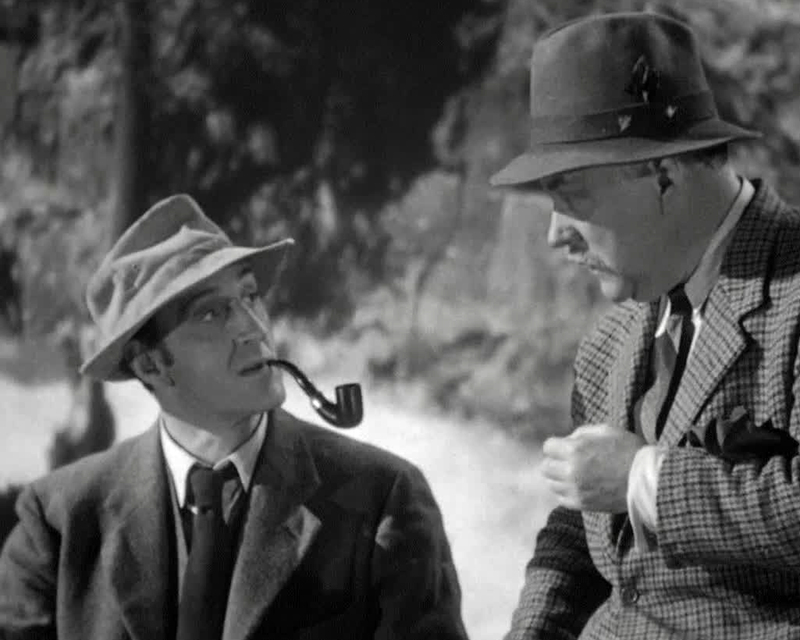 I want to talk about this pipe while it’s still fresh in my memory from my foray into the Sherlock Holmes films of Basil Rathbone this spring. 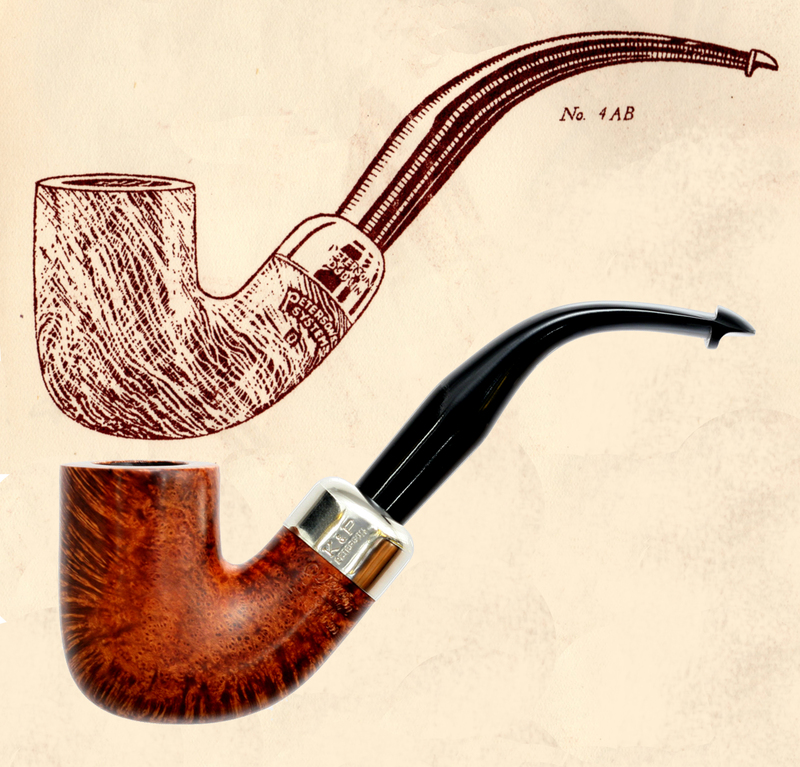 The Rathbone was the first pipe released in The Return of Sherlock Holmes series, appearing in 1991 and announced in that year’s “Flat Bottom” brochure. Paddy Larrigan told me at the factory last summer that he designed the first seven, but none after that. Whoever was responsible for The Rathbone, however, was both a skilled designer and cineasté, because the pipe takes the two pipes Rathbone smoked in his 14-film series and blends them into a single homage worthy of both pipes and of Rathbone himself: slim, large, and dynamic. 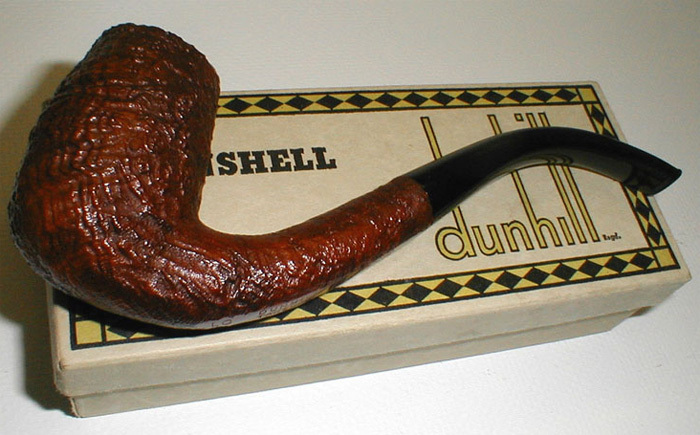 For the bowl, the designer pays homage to the Peterson 4AB’s straight-sided “Dutch billiard” (as K&P has always called it), which Rathbone smoked throughout the remaining twelve Universal films. The pipe was initially released in a smooth, orange finish, but also in a very handsome rusticated finish. Later on it was released in the less-expensive Kinsale line. It has also appeared in a Natural finish, as well as in natural with a gold band, and continues in production. I companion a Rathbone in the Natural finish and use it for all manner of Virginia tobaccos, as I find this type of chamber size and geometry respond extremely well to them. It’s just light enough to smoke hands-free. Informative article, love it. Keep em coming. Mark, many thanks. It’s really fun to connect with fellow Pete-lovers out there.